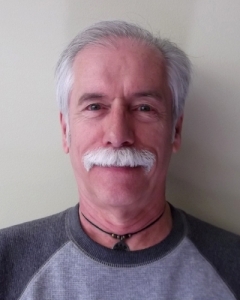 Originally from Erie, Pennsylvania, Bill joined ELI in late 1992, to work as part of the Institute’s Publications staff as the Desktop Publisher. He works primarily with the Editor-in-Chief and the Managing Editor. His responsibilities include assisting in the copy editing, formatting, proofreading, layout, and data entry for ELI’s various publications, including the Environmental Law Reporter, The Environmental Forum, ELR blogs, most of ELI’s books, composing the Daily Update for our website, as well as other reviewing incidental ELI printed matter for Development and Administration, and preparing other materials for the Institute’s website. This is accomplished through the use of various software, including current versions of Adobe Acrobat, Drupal, InDesign, Microsoft Word, and older desktop software, such as Access, Ventura, and WordPerfect, following the dictates of ELR’s Style Manual, the Bluebook, etc.